Older Inventory – CHORUS (70) – Skates U.S. Chorus also has EDEA’s patented hooks and hook position meaning the laces can hold the boots without the need to strangle the leg. A lace puller will make getting on the ice quicker and help keep the boots pristine by making unlacing easier so the tongue can sit properly when the boots are not in use. The Chorus is padded with our top of the range microfiber fabric offering comfort and support. There is additional padding at the ankle for comfort and to hold the heel in place more firmly giving a better foot position. Extra padding on the back cuff helps protect the Achilles tendon while increasing the range of movement. This allows the skater to point their toes adding elegance to the performance. All EDEA skates are designed around the foot with curves and strength to hold the heel in place, to support the foot and give the best fit and maximum comfort. The Chorus is more shaped and even stiffer than the Overture This means the skates are more responsive to power giving the skater both increased acceleration and control. The tongue is key in any boot. In the Chorus the tongue is, giving the increased support required by skaters at this level. Its anatomical shape helps the leg bend in jumps while additional padding increases the comfort. The Chorus is made from the same leather as our top of the range boots. 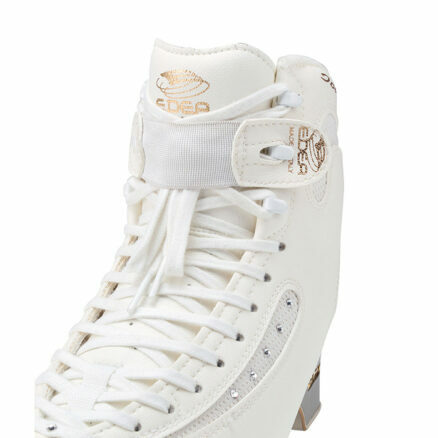 A special water repellent treatment makes EDEA skates easier to maintain. In a sport where style and grace can be the difference between winning and losing EDEA have added extra style to the Chorus with four Swarovski crystals added for the final touch of elegance. 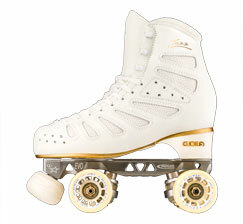 The EDEA Skates CHORUS represents a great advancement in Skate Technology and in turn, in the Skating itself. 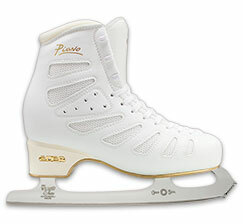 The EDEA CHORUS is the High Quality Mid Level Skating Boot for ICE FreeStyle. 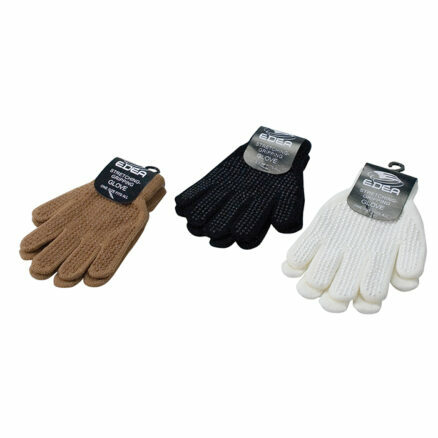 Ultra Light Stiff Construction with Beautiful Leather finish outside and perforated MicroFibre Lining. 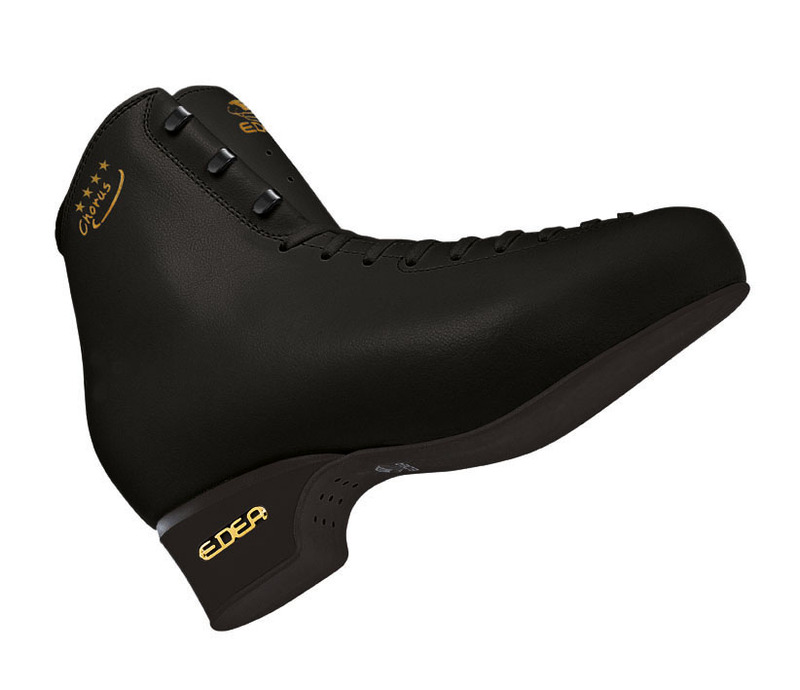 The EDEA CHORUS is made with Revolutionary NEW Ultra Lightweight Materials, which means the CHORUS is about 25% to 45% lighter than comparable traditional “light” Skating Boots. The EDEA CHORUS carries that feel of a traditional Skate. With EDEA Skates it is almost impossible to “over-boot” the Skater, so don’t be afraid to make the change to the lightest Skates in the World. The MicroPerforated MicroFibre Lining is long lasting and ventilates the perspiration quickly. The Anatomically Shaped Memory Foam Padding and Formed fit of the boot is shaped by the Thermoformable Structure and provides the best in foot contact and control while giving the movement range to allow Great Performances. Other features are the comfortable Back Cuff Padding for great pointing of the toes, the Rounded Heel base Shape which more evenly distributes the weight and adds torsional stability, the Full Wrapped Padding, the Shaped Extra Padded Tongue, and the Sewn in strong forged long Hooks. 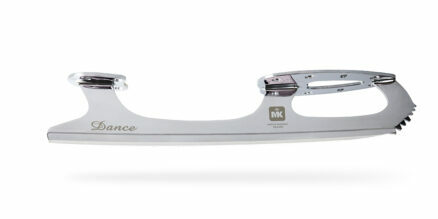 The unique EDEA Footbed is torsionally rigid but with just a bit of vertical compression, that creates a lower center of gravity in the Skate, creating a lower displacement which greatly increases stability and control. The Footbed and bottom cover will not absorb moisture and WILL Securely hold the special EDEA screws, mounting the Ice Blades. 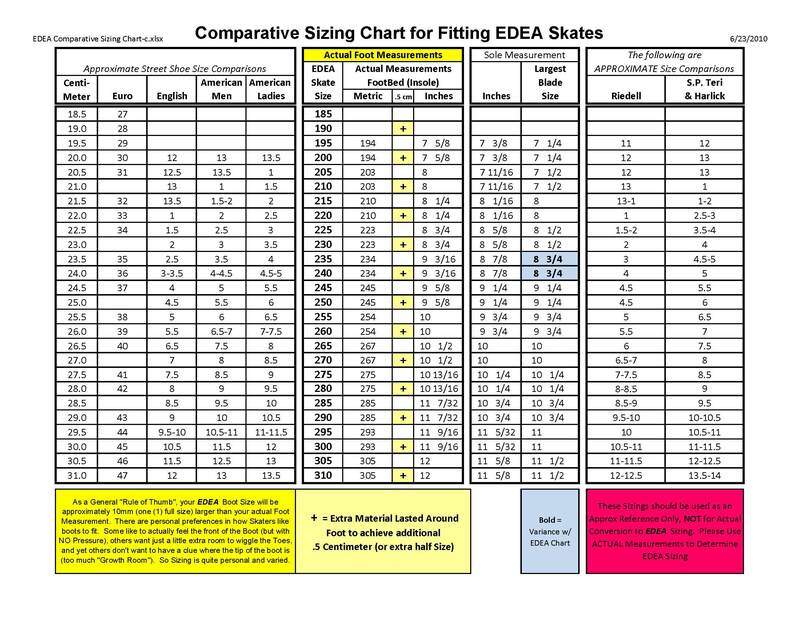 For a very detailed Technology White Paper on the differences between EDEA Skates and traditional Leather Skates, please take a little time and read “Why EDEA Skates are so Special“ from the Learning Center of SkatesUS.com. In most cases the Break-In period is just a few hours, not days, weeks, or Months, but the most important Features are how LIGHT and COMFORTABLE the EDEA CHORUS is!